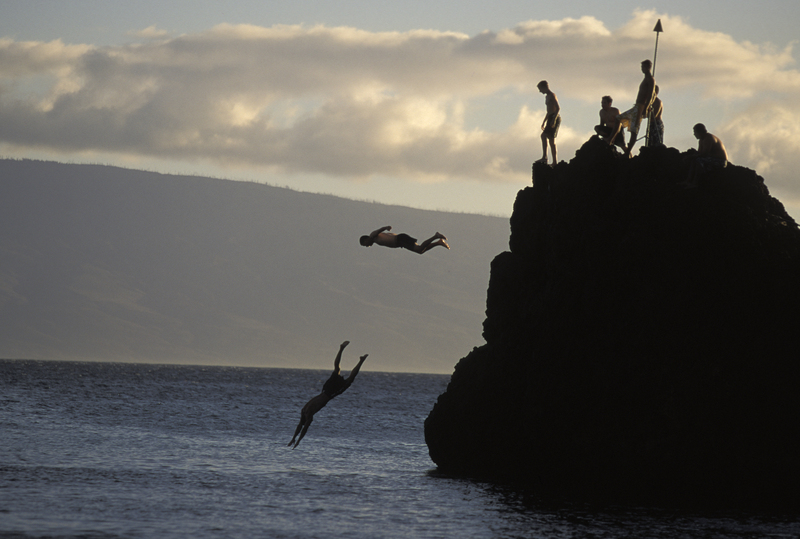 Cliff diving, Hawaii. ©2004 Todd Bigelow. The mission of the Business of Photography workshop is to educate others about the reality of freelance photography. Plain and simple, stripped to the core, I want to share my experiences from the past two decades photographing for worldwide clients in the editorial, corporate and non profit worlds to help others create and sustain a career. There are hundreds, if not thousands, of workshops that cater to the creative side of photography. From Santa Fe to Maine to the Catskills of New York you can find a great workshop to help you create a vision, a look or teach you technique. But this is not one of them. This is about business. This is about learning to value yourself and your work. This is about freelancing. This is about reality. ASMP Oregon has hosted my workshop twice. In this workshop, you will get a unfiltered view of what it’s like in the freelance world of editorial/corporate and non profit photography. To give you an idea of what awaits, I project a motion picture like warning advising of the real potential for foul language and highly animated behavior. I will walk you through many issues and support the presentation with real emails, contracts, licenses, invoices and case studies derived from my own career (redacted, of course). Above all, I’ll stress how to value your time and photographs. I’m still out there shooting and dealing with the very issues that I speak about during the workshop, so the presentation is always evolving, and that is an important point for me. You see, once someone says “that’s the truth” it’s not actually relevant any longer because “truth” is set in time whereby knowledge is constantly evolving. I’m going to share my knowledge. There is no universal truth anyway. Please visit the workshop homepage for testimonials that I’ve received over the past few years from newly minted graduates, seasoned veterans transitioning from staff jobs and those looking for a “second career” after retiring from a full-time job. For course topics, dates, registration links and more, visit the workshop home page.